1. 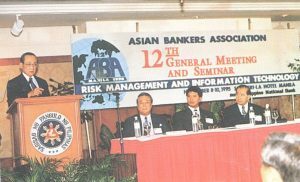 The Asian Bankers Association (ABA) held its 12th General Meeting and Seminar on November 8-10, 1995 at the Shangri-la Hotel in Manila, Philippines. Some 110 bank executives from various member banks in the region attended this year’s event, which was hosted by the Philippine National Bank. 2. The 21st ABA Board of Directors was also held in Manila in conjunction with the 12th General Meeting and Seminar. 4. In his Welcome Address, ABA Vice Chairman Peter B. Favila, President of the Philippine National Bank, observed that over the last decade, the Asian market has displayed a tremendous capacity for growth. It is only imperative, he said, that as we look at the external markets, we do not miss out on the large Asian market. He urged the delegates to continue to harness opportunities in the Asian market and its large reservoir of still untapped potential. Mr. Favila cautioned, however, that providing financial services is risky particularly as capital flows have removed national and regional borders. It is only fitting therefore that as bankers and finance managers, we continue to talk to one another, consult each other and more importantly, learn from each other, he said. The complete text of Mr. Favila’s Welcome Remarks appears as Annex 1. 5. In his Chairman’s Report to the Meeting, Dr. Li cited the continued growth in membership and called on the new recruits to help invite more applicants. In getting new members, however, Dr. Li stressed the importance of considering not only quantity but quality. We must continue to aim for members who are truly representative of our dynamic region and who believe in professionalism and a standard of excellence, he said. Dr. Li was also pleased to report on the continued success of the training courses jointly held with the Institute of Banking and Finance in Singapore and the Asian Institute of Management in Manila. A study tour was planned for Myanmar (although later aborted for reasons beyond ABA’s control) and another one was in the works for the industrial heartland of northern China. Dr. Li also said that continued progress was being made in ABA’s efforts to forge strong ties with other banking associations, particularly the Bankers’ Association for Foreign Trade and the American Bankers’ Association. The full text of Dr. Li’s Report appears as Annex 2. 6. Philippine Finance Secretary Roberto F. de Ocampo said Asian banks and markets are globally competitive, citing their resiliency to weather crisis and their excellent credit standing. The keys to ensuring a stable and healthy financial system are competitiveness and credit worthiness, he stressed. “Only if the system achieves basic discipline in its financial and monetary affairs can a country be assured of survival and growth in the dynamic conditions that characterize financial markets today,” he added. Secretary De Ocampo noted that the global financial markets are dynamic and volatile, presenting financial institutions with fast­ changing developments requiring swift and bold action. Citing the experience of the Mexican crisis, he said banks should provide “safety nets” that will assure the continued stability of the global financial system. The Finance Secretary said that risk management and information technology should go hand in hand. In spite of technological advances, there are risks that banks are exposed to. Thus banks should use technology to its advantage, he said. 7. This year’s Seminar carried the theme “Risk Management and Information Technology” and was conducted in three sessions. 8. Session I focused on “Banking Trends” and featured Gabriel C. Singson, Philippine Central Bank Governor, as the first speaker. Governor Singson noted that with reforms in the financial sector comes the development of capital markets and other financial institutions. He therefore stressed that banks must develop appropriate competitive responses if they are to maintain their importance in the development process. It seems likely that commercial banks will face strong competition from capital markets in financial businesses in Asia, he said. Governor Singson added that greater competition spells diminished profitability. Compounding the possible cut in profitability is the propensity of banks to take excessive risks, thereby weakening their ability to withstand external shocks, he further noted. 9. The second speaker was Deputy Chief Executive of Hong Kong Monetary Authority David Carse, who underscored the need for a proper pace of deregulation. According to ·Mr. Carse, “while we accept that deregulation may indeed be in the long-term interests of the banking sector in terms of encouraging increased efficiency and innovation, we also believe that the pace of deregulation should be carefully controlled.” Mr. Carse also underscored the need for strong capital backing for market risks which the banks run in trading in bonds, equities, foreign exchange, commodities and the derivatives of these assets. The need · for such strong capital backing for such activities has been demonstrated by the collapse of Barings Pie. of London and more recently the losses suffered by Daiwa Securities. 10. Thirachai Phuvanat Naranubala, Director, Bank of Thailand, focused on banking trends in Thailand, particularly on the financial reforms undertaken in the last five years and the difficulties associated in implementing them. The reform programme was intended to address the need to serve smaller customers in the provinces, the trend towards international commerce, the external competition and the opportunities in Indochina. 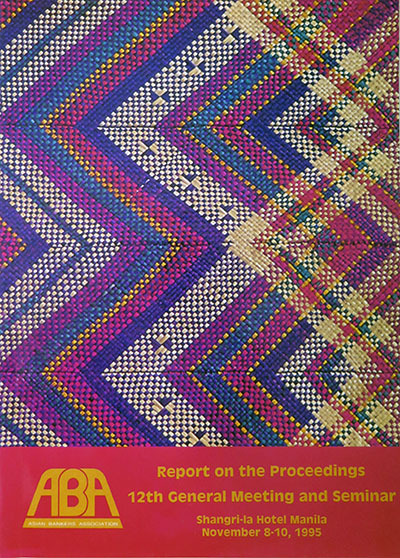 The difficulties encountered in implementing the reform measures included problems related to the management of capital inflow, resource utilization, market expansion particularly for smaller customers, and capability of Thai banks to respond to the challenges posed by the reform programme. He agreed, however, that the adjustment process will take time and efforts have to be sustained to ultimately serve the needs of the public well at all levels. 11. Invited as luncheon speaker was Mr. Jaime Licauco, President of Inner Mind Development Institute. Mr. Licauco who spiced up lunch with his analysis of the brain’s functions. He stressed the necessity of developing all areas of one’s brain in order to become a more effective manager. Drawing from the works of numerous western authors, Mr. Licauco explained that the human brain is divided into, the left and the right hemisphere. The left hemisphere controls analytic, logical, scientific and mechanical functions of the mind, while the right hemisphere controls the creative, emotional and intuitive functions, non-verbal reasoning and spontaneous decision-making. He said that most persons, especially bankers, rely more on the functions of the left hemisphere, thus it is more developed than the right hemisphere. He said that developing the right part of the brain, and thus man’s intuitive abilities would transform a person into a more productive and effective decision-maker. 12. Session II focused on “Risk Management” and featured three speakers. It opened with Mr. Kenneth S. Courtis, First Vice President, Deutsche Bank Group Asia, who spoke on Country Risk Management. Mr. Courtis’ presentation explored the issues related to the evolving international risk environment and how they are likely to evolve over the next six to 12 months. He cited some of the emerging trends, such as the growing current account deficits of many developed countries, the volatility in the foreign exchange markets, trends in the global equity markets, and the increasing debt levels of many industrialized economies. He also addressed issues pertaining to the critical position of the Japanese banking system, the funding requirements of the United States, and the developments in Europe. Mr. Courtis presented different scenarios that can be expected in the years ahead and their implications for Asian bankers. 13. Mr. Philippe F. Delhaise, President of Thomson Bank Watch Asia, talked about Bank Risk and Bank Ratings. Mr. Delhaise noted that the revolution in financial markets over the last few years, in terms of the volume and diversity of products, which to some extent has been responsible for certain failures and near-failures, has generally put an end to the established approach to correspondent banking. This revolution, he said, has provided a significant challenge to local regulators and auditors who have traditionally been the only independent source of control for the banking system and individual banks. 14. The third speaker was Mr. Dominic Casserley, Director of McKinsey and Company in Hong Kong, who spoke on risk and reward management. Mr. Casserley argued that risk and reward management ability is essential to banks since banks fundamentally make profits from absorbing, intermediating or advising on risks. Banks, he said, should focus on markets in which it has advantages of analyzing information about the risks involved, making judgment about those risks, and developing options to manage such risks. Mr. Casserley offered eight strategic lessons from history for banks to avoid disaster and presented three case examples of Asian banks’ successes and failures in taking risks. 15. Mrs. Yee Jee Hong, Senior Vice President, Development Bank of Singapore (DBS), was the first speaker on “Information Technology” in Session Ill. Mrs. Hong talked about the experience of DBS information technology (IT), its usefulness in important business areas of the bank. and its contribution in improving business growth and reducing general and administrative expenses. She said that new services are being introduced through IT in the retail, corporate and investment banking sector, including international operations. It also has a number of bankwide applications such as in customer information system, imaging applications and telex destination identification system, Mrs. Hong added. 16. The second speaker for Session Ill was Mr. Kent D. Price, General Manager of IBM Asia-Pacific. Mr. Price introduced the concept of virtual banking and talked about· the forces which drive its growth and development, the benefits to the customers and banks, the experience of some firms in virtual banking, and the challenges it offers to management of financial institutions. He said that the transition to video banking will occur in three waves – the first involves ATMs and telephones, the second relies on personal computers and on-line services, and the third will involve electronic cash and interactive video. These phases, according to Mr. Price, entail significant challenges which, if responded to, will help optimize and sustain the benefits of the virtual banking revolution. 17. In his Closing Remarks, Mr. Favila thanked the participants and guests for their camaraderie and friendship, and for their enriching and highly rewarding discussions on risk management and information technology. He also expressed his gratitude to the ABA Secretariat for the support it extended to the organizing committee, and to the other Philippine ABA member banks for their assistance in undertaking the preparations for a most successful event. The full text of Mr. Favila’s Closing Remarks appears as Annex 3. 18. The 21st Board of Directors’ Meeting was held on November 9, 1996 at the Shangri-la Hotel in Manila. It was presided over by ABA Chairman Dr, David K.P. Li. a. 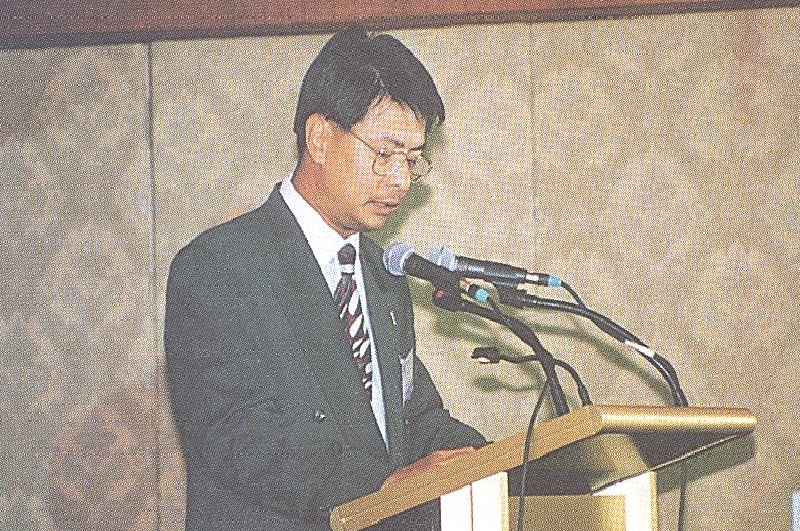 Report of the Secretary-Treasurer – Mr. Johnson Yen reported on the favorable turnout for the 10-day seminar on “Understanding and Using Financial Derivatives” which ABA jointly sponsored with the Institute of Banking and Finance (IBF) of Singapore in July 1995. He also informed the Board of the joint programme with the Asian Institute of Management (AIM) scheduled in December 1996 and encouraged the Board members to send participants from their banks. Mr. 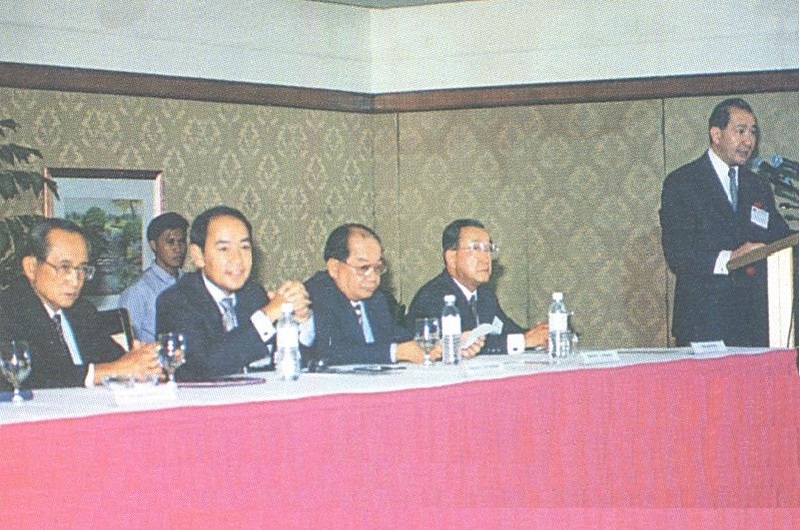 Yen reported that the familiarization tour planned for Myanmar had to be aborted for reasons beyond ABA’s control, and that a similar tour to northern China is scheduled for 1996. He also cited continued links with other bankers’ associations, such as the Bankers Association of Foreign Trade and the American Bankers Association. b. Financial Report and Budget – The Board noted the audited Financial Report for 1994 and approved the proposed budget for 1996.
c. Membership – The Board approved the 13 membership applications received by the Secretariat and took note of the 8 withdrawals. Mr. 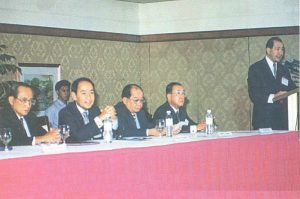 Yen requested the Board members for assistance in getting additional members in order to reach the end- 1996 target of 200.
iv. that the ABA consider the possibility of compiling into a CD-ROM the laws, regulations and policies of each member country in the region affecting the banking and finance sector. e. Chairman Emeritus – The Board agreed to confer to Dr. Jeffrey L.S. Koo the title of Chairman Emeritus in recognition of his efforts of bringing bankers of the region together in ABA and further promoting and improving the international standing of the Association. 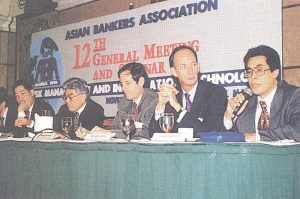 f. Venue and Theme of Next Meeting – The Board agreed to hold the next meeting in Malaysia as proposed by the Advisory Council and that it be scheduled in late October or early November 1996. 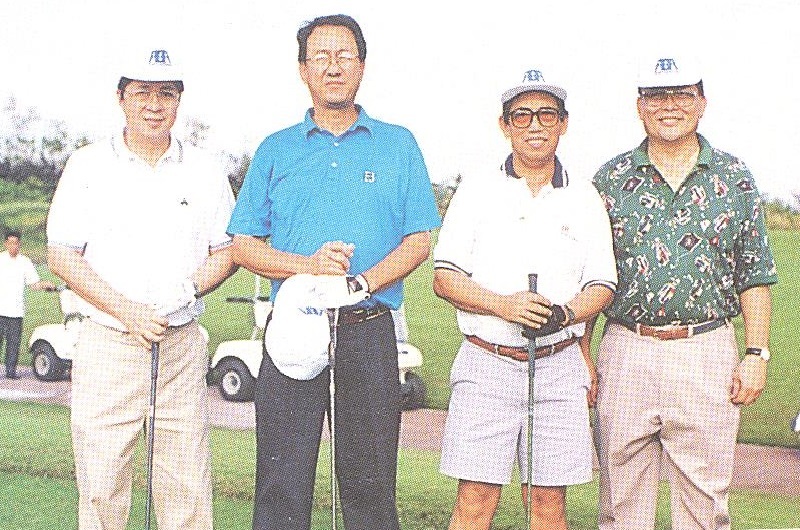 It was decided to form a Planning Committee which would meet in early spring of 1996 to prepare for the next General Meeting and Seminar and other activities that may be undertaken. 20. The Board passed a resolution of thanks to the host bank, the Philippine National Bank, its President Mr. Peter Favila, and the supporting banks in Manila for the excellent facilities and arrangements made for the 12th General Meeting and Seminar. The Board also approved a vote of appreciation for Chairman Dr. David K.P. Li for ably presiding the meeting. Asia on track to claim fintech supremacy from the U.S.